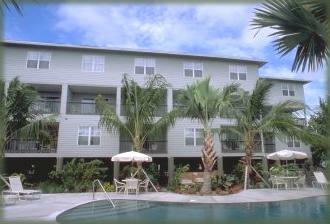 Come to Coconut Mallory Marina and Resort to relax and take part in the rich culture of Key West. At the resort you will find two swimming pools, children’s playground, a clubhouse, barbeque area, and much more. For fun on the water try jet skis, kayaks, fishing, other rental equipment, and a marina with 18 boat slips. There are many historic places of interest to visit in Key West. The main attractions are the Key West Aquarium, Fort Jefferson -- the largest brick building in the Western Hemisphere, the Ernest Hemingway home and Museum, and the Lighthouse Museum. Set aside time to take the popular Conch Tour Train where you will learn about the history of Key West.